Rosanne “Rose” Lindberg, age 83, of Woodbury, and formerly of Glenwood, died Sunday, December 2, 2018, at Woodbury Estates in Woodbury. A Funeral Mass of Christian Burial will be held at 11:00 A.M. on Friday, December 7th, at St. Donatus Catholic Church in Brooten, MN, with Father David Grundman officiating. Visitation will be at the church, one hour prior to the service. Interment will be in Grove Lake Cemetery. Arrangements are with Hoplin-Hitchcock Funeral Home of Brooten. Rosanne “Rose” Poss was born in Ashton, Iowa, on October 2, 1935 to John and Anna (Osterholt) Poss. She attended St. Mary’s Catholic school, along with her three sisters and three brothers, until 1950 when her family moved to Avoca, Minnesota. She was a 1953 graduate of Slayton High School. On January 26, 1954, she married Richard “Rick” James Lindberg of rural Avoca. Following their marriage, the couple made their home in Fulda, Minnesota, until 1957, when they moved to Minneapolis. Rose and Rick were blessed with four children, Debra, Sharen, Mark, and Julie. Rose worked as a receptionist in various dental offices before accepting a position with Lifetouch School Studio, where she worked until 1997. At that time she and Rick retired and moved to their lake home on Grove Lake, near Brooten. Rick passed away in 2007, and Rose continued to reside at their lake home until February 2018, when her health deteriorated significantly, making it necessary for her to receive specialized care. At that time, Rose moved back to the Twin Cities metro area to be closer to her children. Rose’s family would like to thank the staff at Woodbury Estates in Woodbury for the excellent care they provided Rose. She passed away there on Sunday, December 2, 2018, at the age of 83. 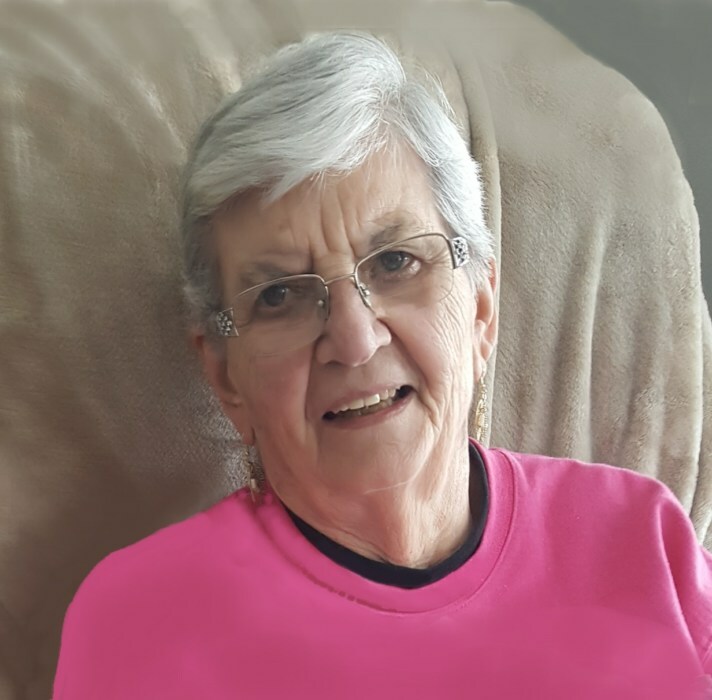 Rose enjoyed going south for the winter, golfing, painting, attending plays at the Barn Theater in Willmar, and watching television programs and game shows. She enjoyed going to eat at the Padua Pub and looked forward to “Pie Day Friday” at Jana Mae’s in Brooten, where the sour cream raisin pie was her favorite. More than all of these, Rose loved the time spent with her children, grandchildren, and great-grandchildren. She is survived by her four children, Debra Anderson of Bloomington, MN, Sharen Jensen of Bloomington, Mark Lindberg of Richfield, and Julie (Jason) Harmon of Hudson, WI; her grandchildren, Jeremy Jensen, Jenny Anderson, Matt Anderson, and Odessa Harmon; great-grandchildren, Kailee Jensen, Tyler Anderson; as well as nieces, nephews, other relatives and friends. Rose was preceded in death by her parents, John and Anna; her husband, Richard “Rick”; her three sisters Dorothy Youngers, Rita Schaefer, and Cathy Connell; and her three brothers, Donald Poss, Richard Poss, and Raymond Poss.